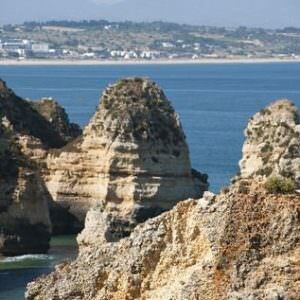 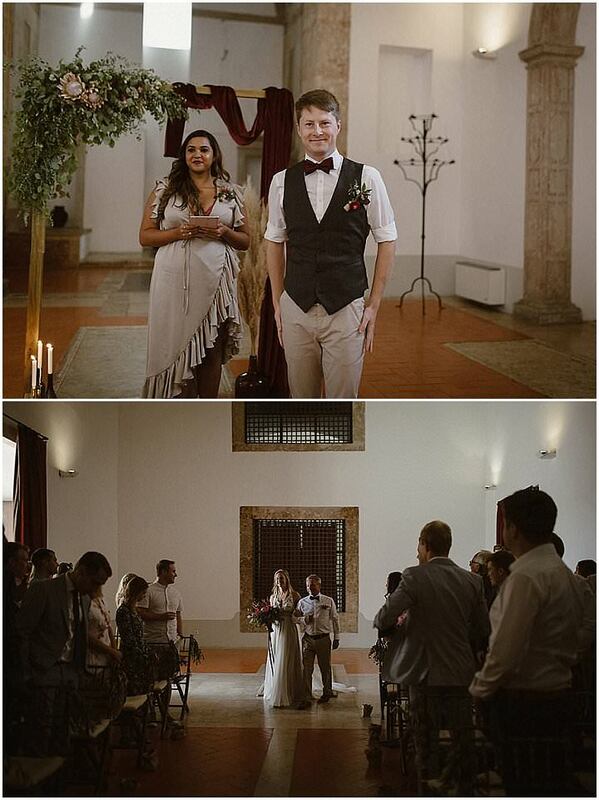 As we reach the half way point of the week I am taking you off for a gorgeous destination wedding in Portugal. 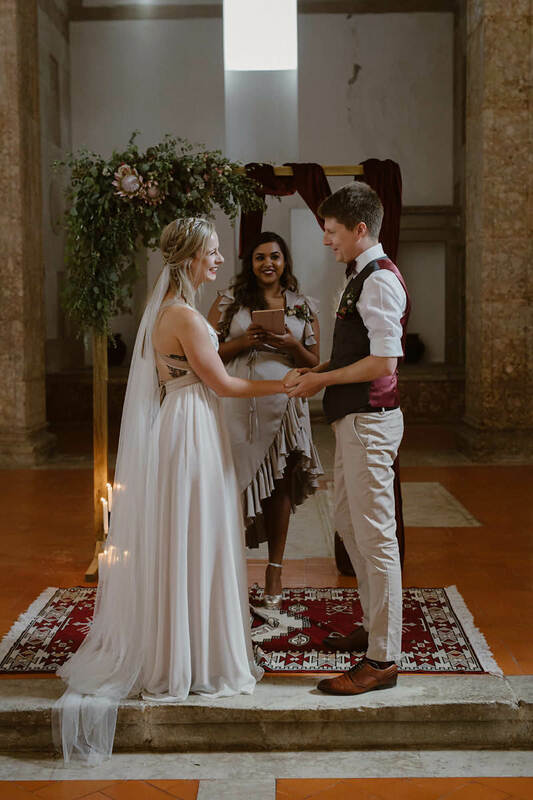 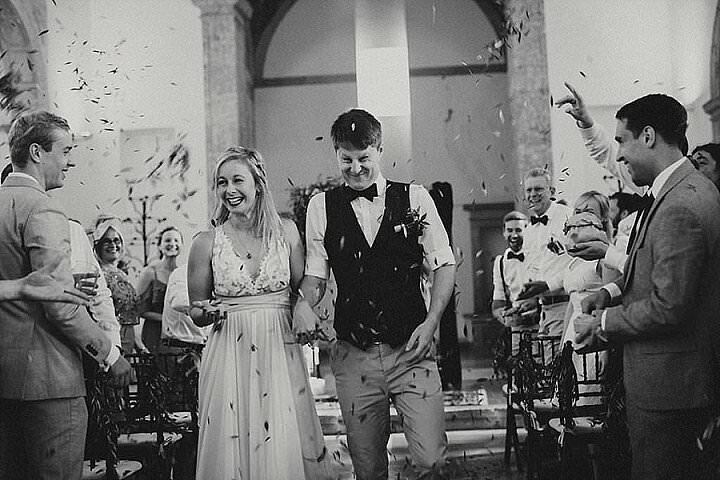 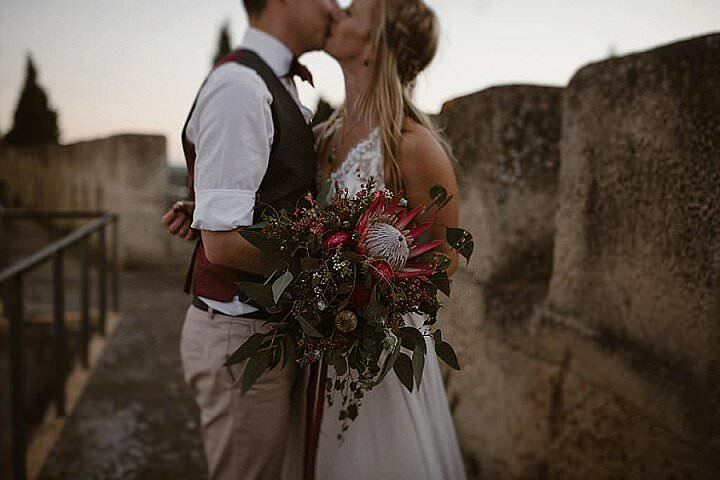 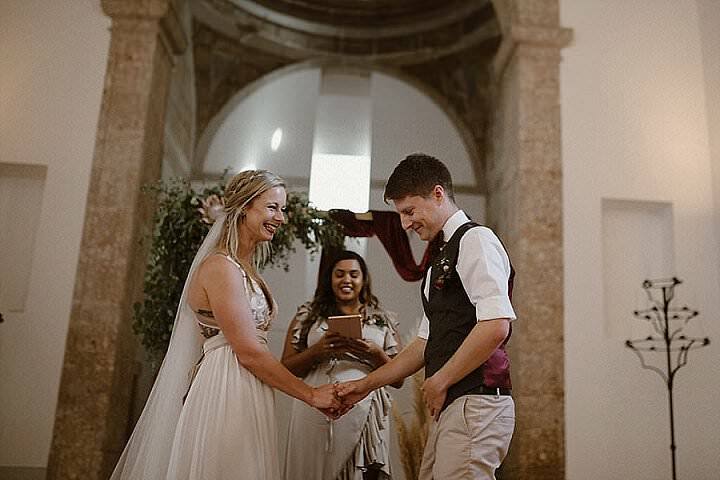 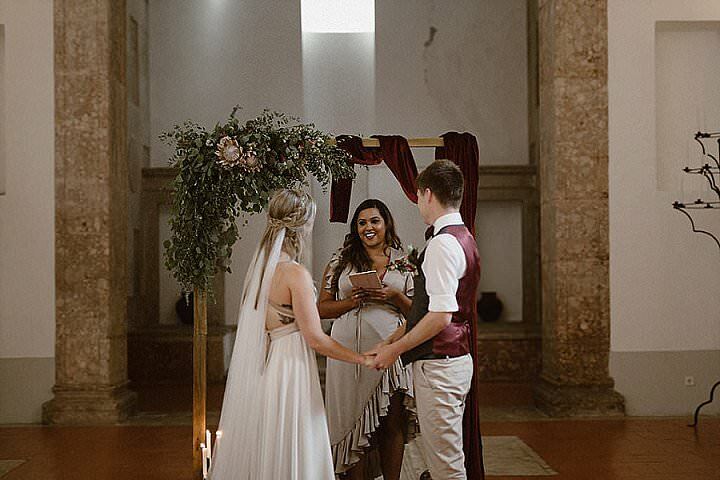 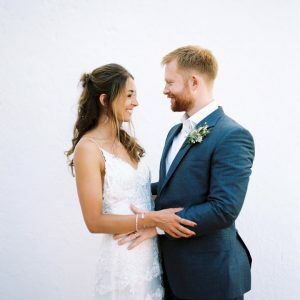 Kaela and Jez are wine lovers and have family in Portugal, so this wine filled area of their beloved Portugal seemed like the perfect place to hold their celebrations. 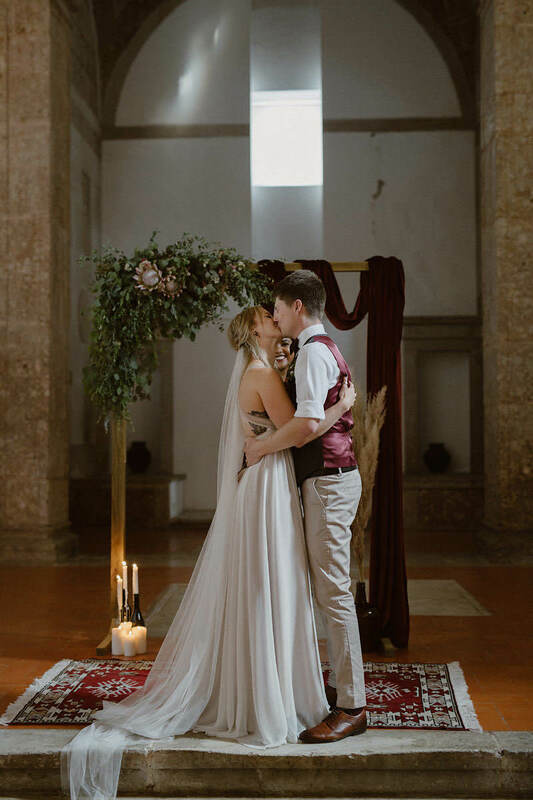 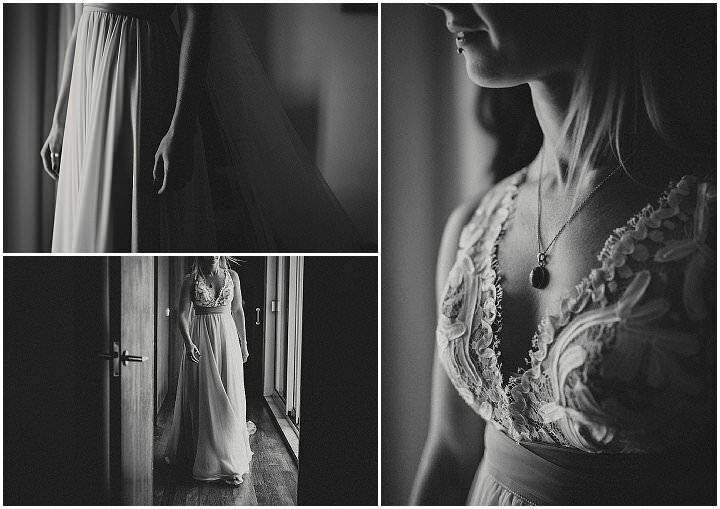 They chose a stunning castle venue, that is beautiful inside and out, and held a truly elegant and Boho chic day. 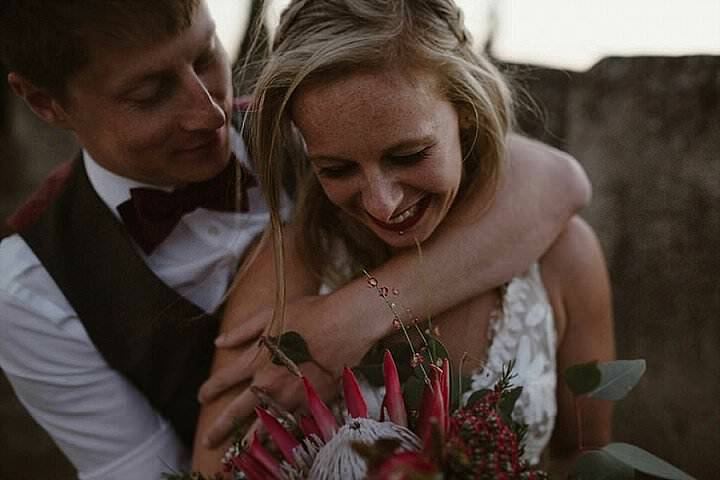 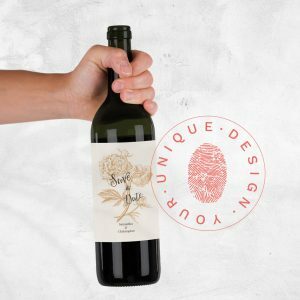 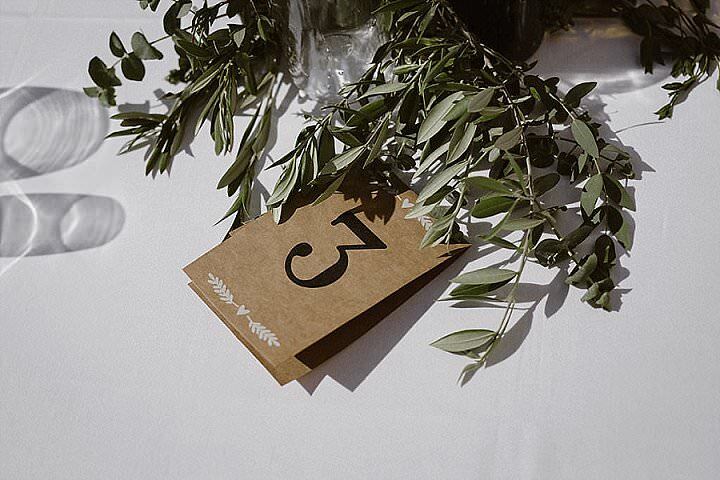 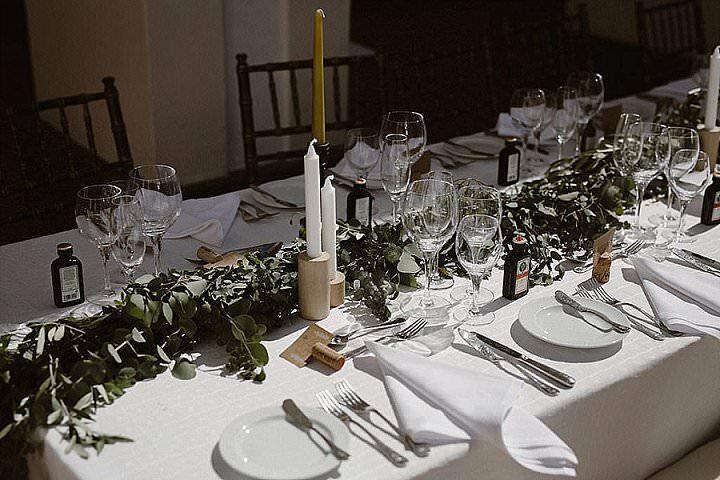 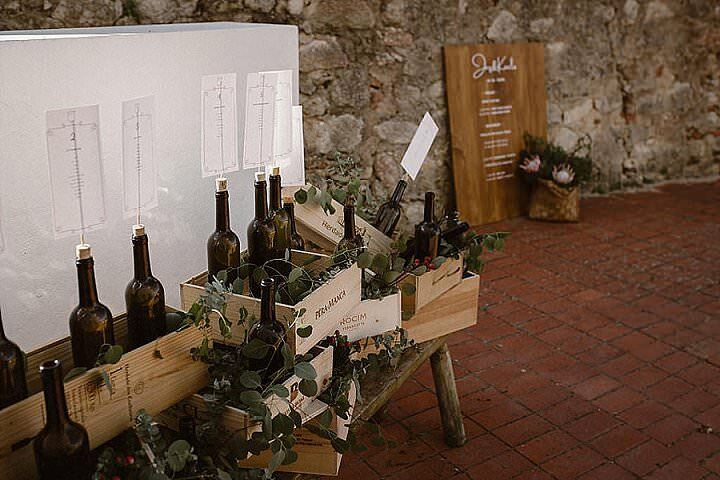 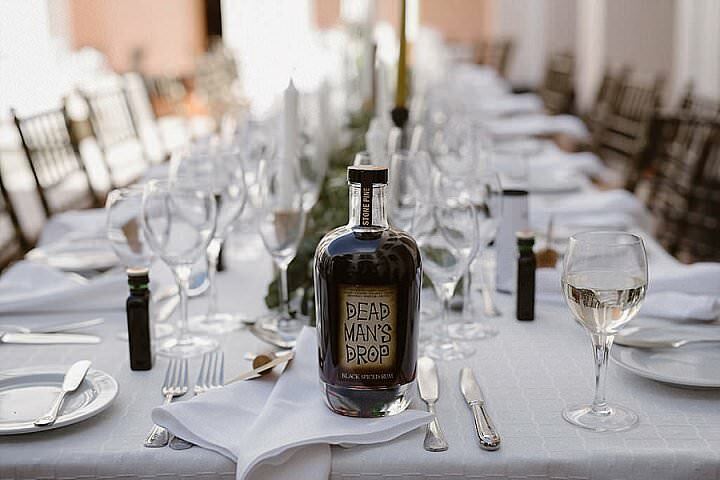 With wine as their theme for the day, they managed to incorporate it into their decoration in a number of tasteful and creative ways, from the wine themed table plan, to the centre pieces. 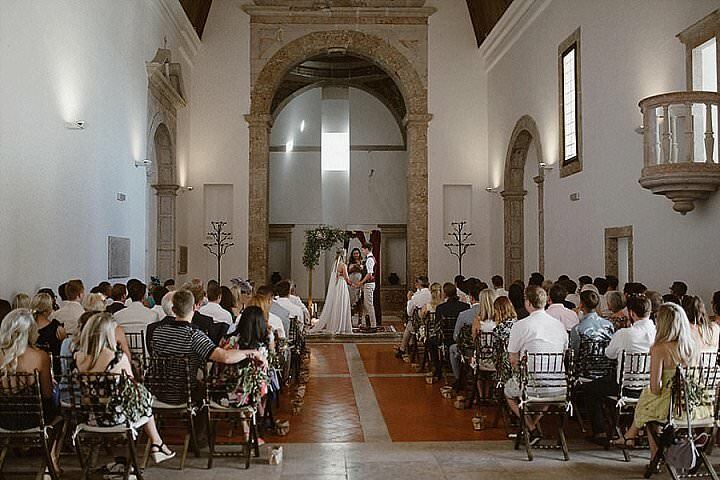 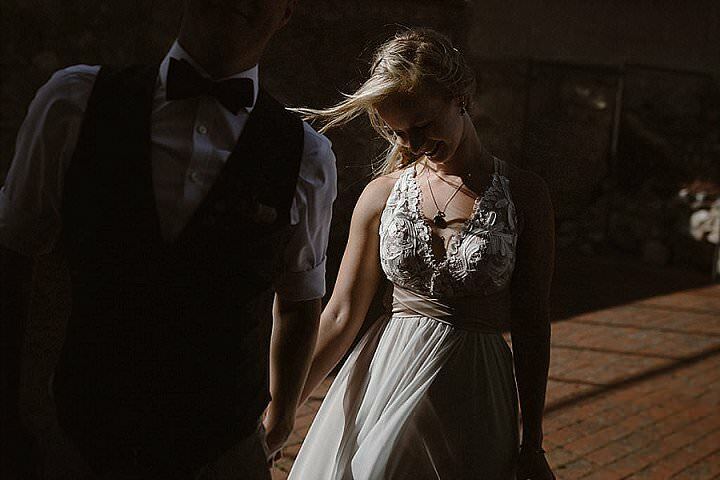 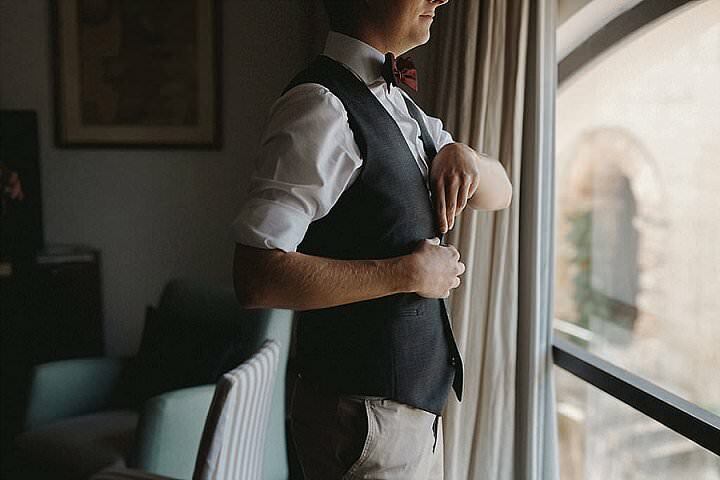 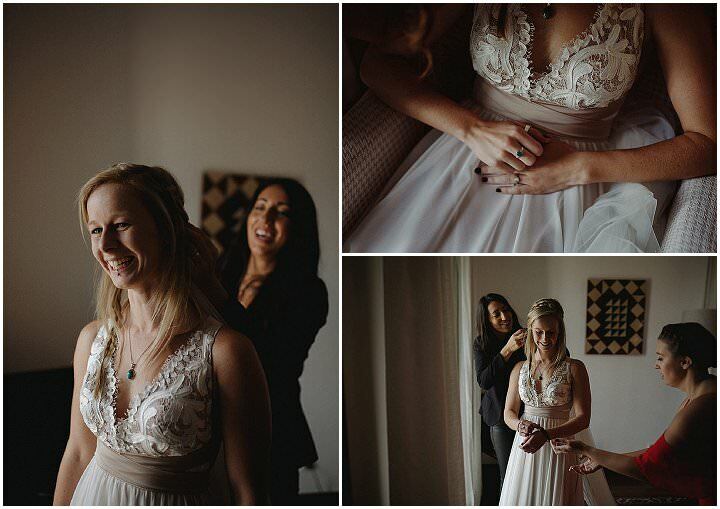 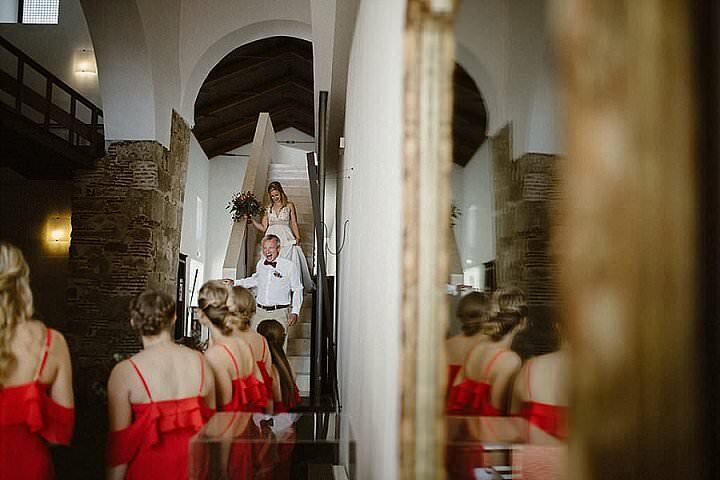 The day was captured by Look Imaginary and planned to perfection by Cátia Silva Weddings who sent in this gorgeous wedding. 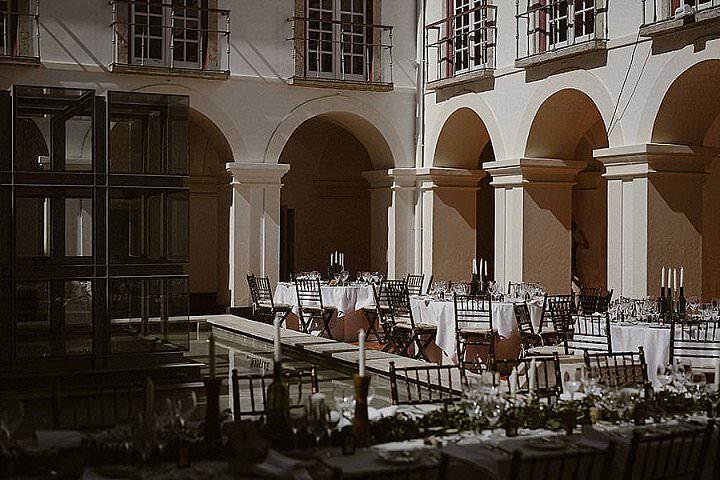 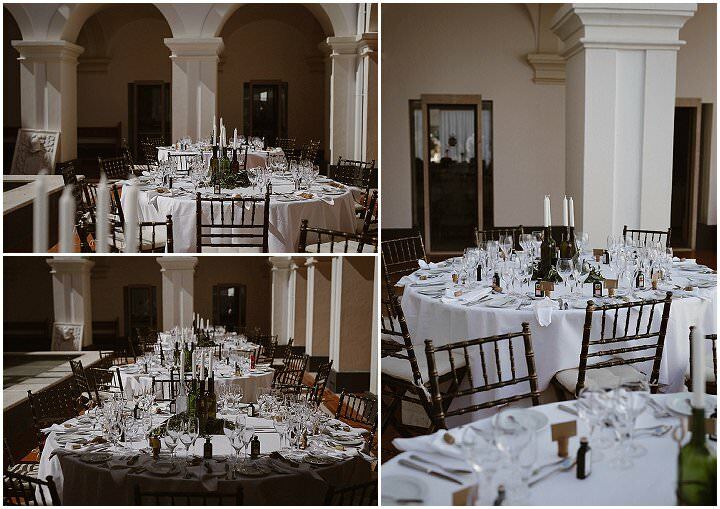 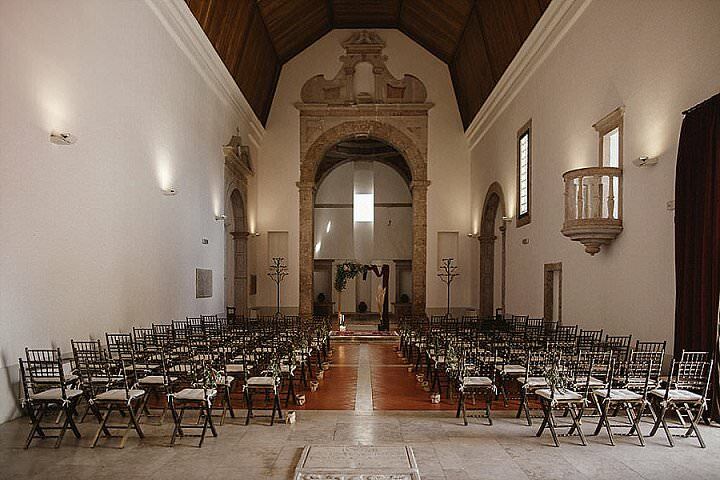 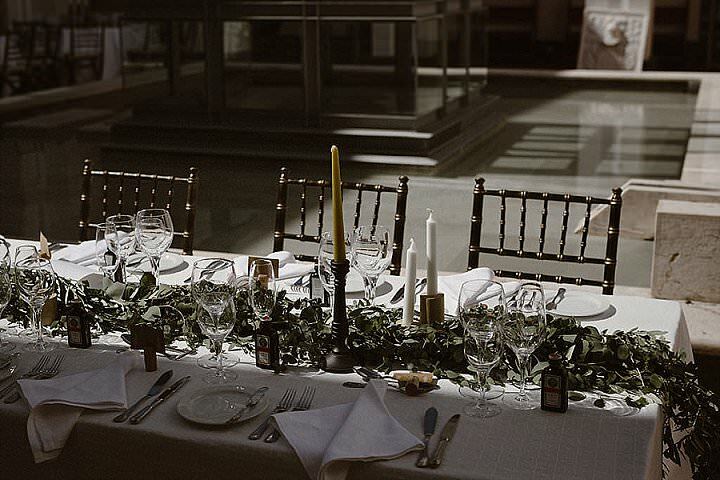 A beautiful and emotive ceremony in a historical place with a wine inspirational scent and a memorable party! 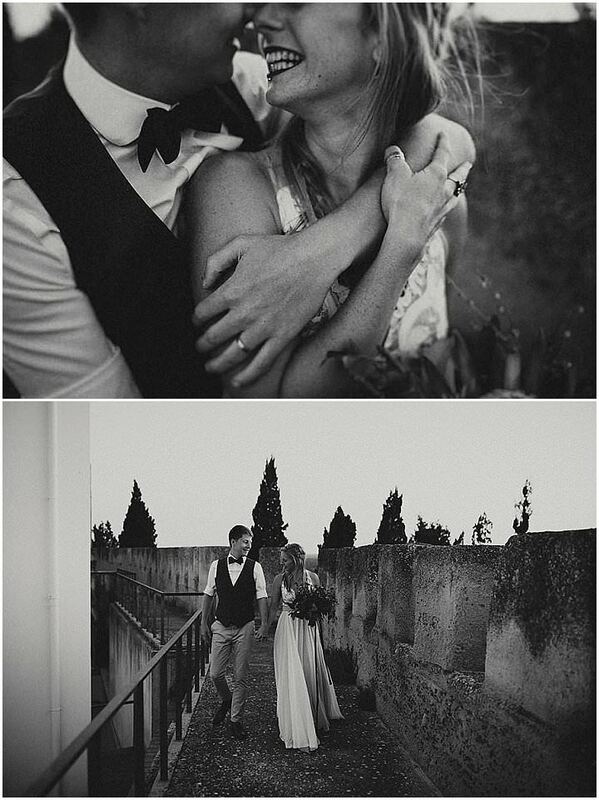 They met in the Alpes, while working on a Sky Vacation station. 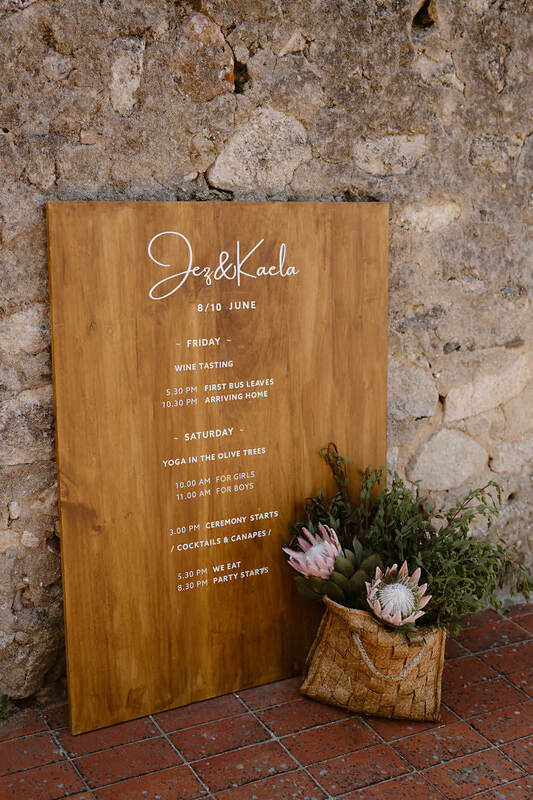 The bulk of the budget went to catering, videography and photography. 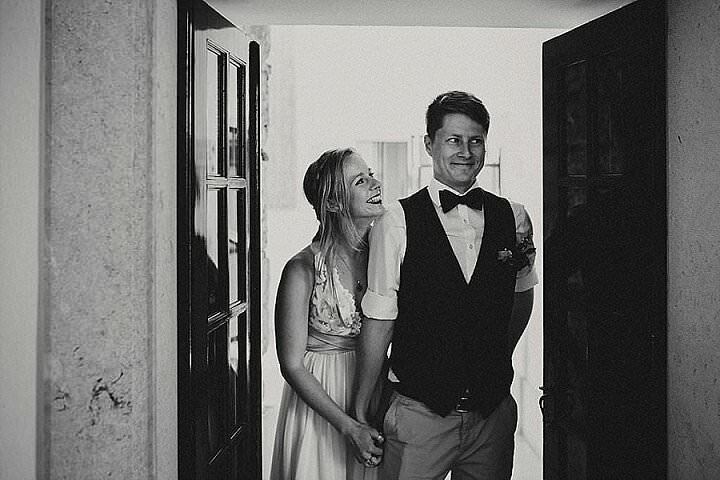 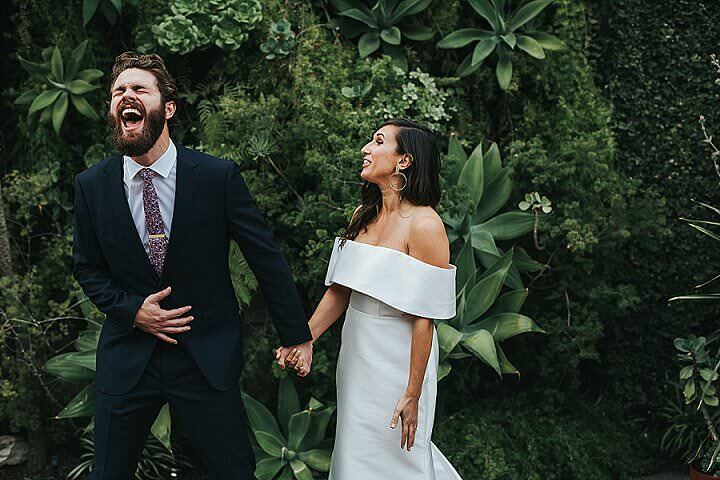 They wanted remarkable photos of their wedding! 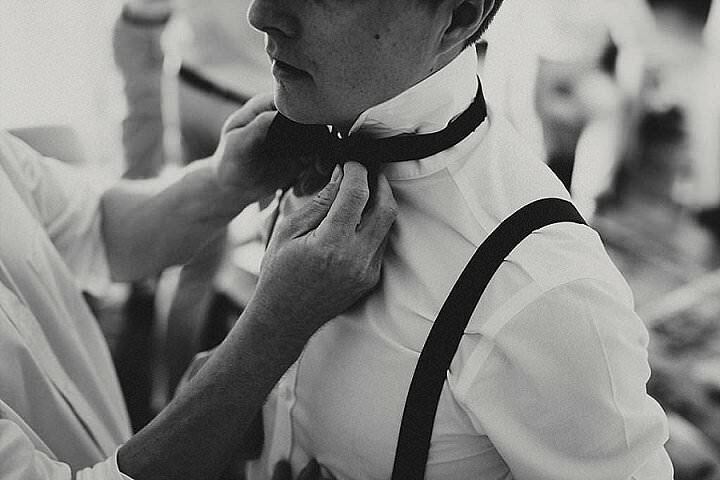 Something emotional and timeless and that would reflect who they were. 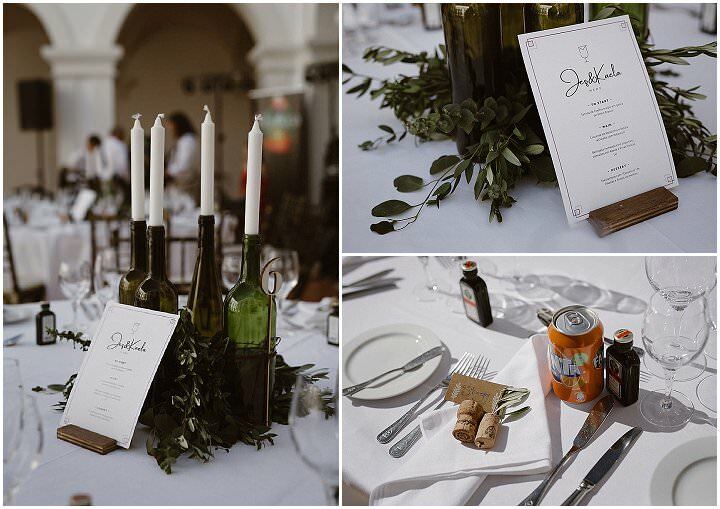 The theme was wine and that gave the colour scheme to every detail in the wedding. 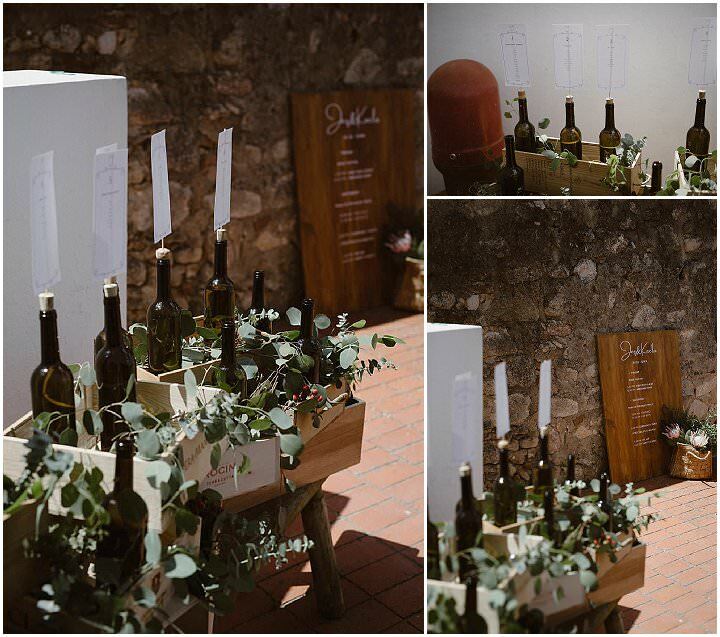 Greenery, cork based and wine bottles. 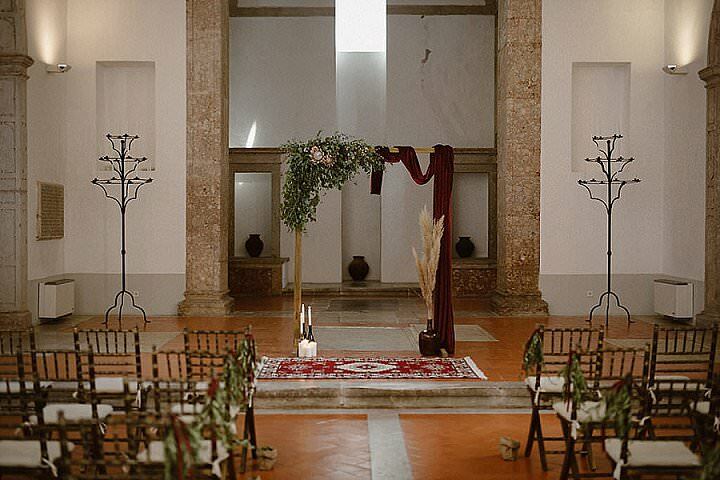 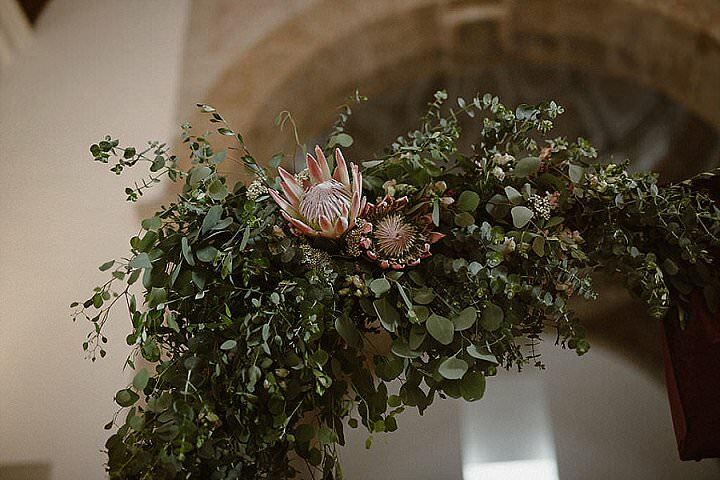 An aisle full of olive tree leaves to throw and a ceremony arch in an old church with a bucolic boho vibe. 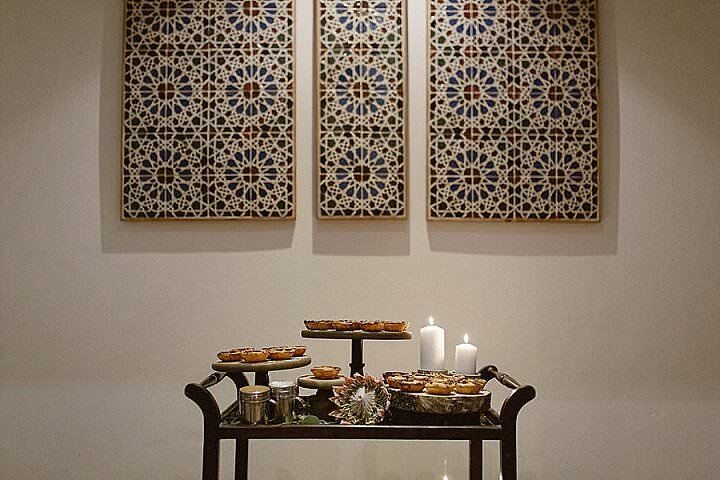 As a wedding cake, we served the most traditional Portuguese sweet pastry: egg tarts. 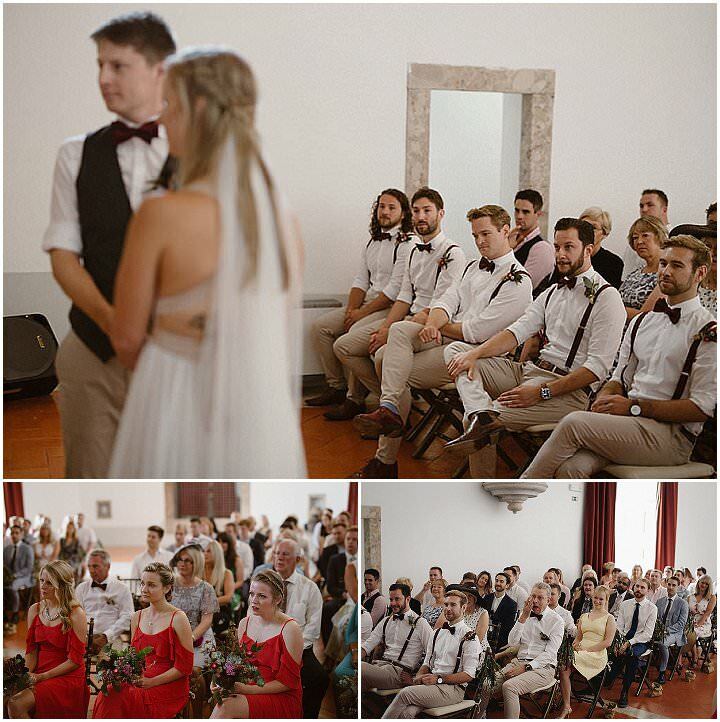 The best covers band in Portugal – they were so energetic and fun, that was the best moment of the wedding. 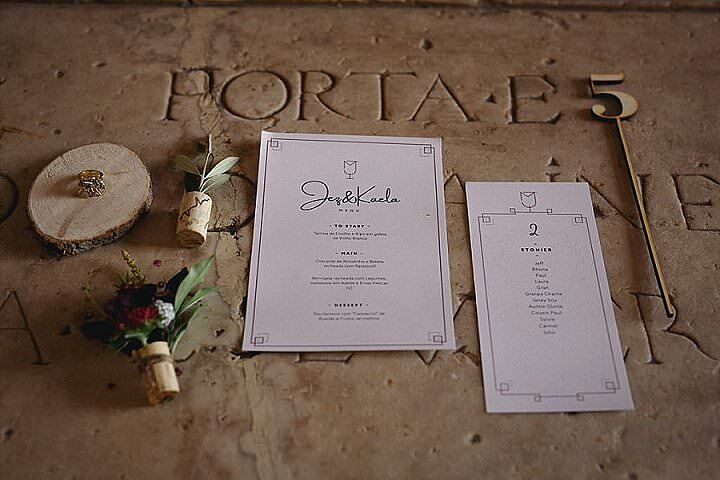 The bride and groom prepared the stationery and some particular favourites for their guests.